Two of the NBA’s best small-market teams will finally get to show their stuff on the national stage this Thursday when the Denver Nuggets (42-18 SU, 33-27 ATS) host the Utah Jazz (34-26 SU, 31-27-2 ATS). The Nuggets are near the top of the Western Conference, while the Jazz are in sixth place at press time. TV: 10:30 p.m. 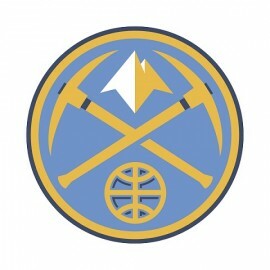 ET, TNT LINE: Nuggets -7; O/U: 225. The Nuggets have made great strides over the past four years under head coach Mike Malone. They’re not as fast as other teams, but they play with effort on defense. They have one of the league’s leading MVP candidates in center Nikola Jokic, also in his fourth year in the NBA. Jokic is putting up 23.3 points, 12.3 rebounds and 8.8 assists per 36 minutes this season. On Thursday, Jokic will run into Rudy Gobert, the reigning NBA Defensive Player of the Year. Gobert (17.4 points, 14.6 rebounds, 2.5 assists and 2.5 blocks/36) is the anchor of this Jazz ensemble. He absolutely should have been invited to the All-Star Game. Unfortunately, his team lacks overall scoring punch outside of Donovan Mitchell (24.4 points/36), leaving them in danger of missing the playoffs entirely. The Jazz‘s Donovan Mitchell scored 32 points against the Clippers. He has poured in 20 or more in 20 of his last 21 contests. Mitchell was 10-for-22 from the field and 9-for-12 from the free-throw line. The 12 attempts matched his second-highest total of the season. Ricky Rubio (hamstring) departed the victory over the Clippers and his availability for Thursday contest is uncertain. The Nuggets All-Star center Nikola Jokic recorded 36 points, 10 assists and nine rebounds to narrowly miss his 13th triple-double of the season in the win over the Thunder. Jokic the leading reason why Denver has turned into one of the top teams in the West. Will Barton scored 23 points against Oklahoma City after recording just three versus the Clippers two nights earlier.